With the “Trump dossier” having been discredited, and with it the phony claims that the Trump campaign team colluded with Russia, Democrats are desperate to find something they can use to distract from their own very real problems. The recent revelations by former DNC chair Donna Brazile of corruption within her political party only add to the evidence that everything Hillary Clinton touched was thereby corrupted. Distracting the public from the very real evidence of serious ethical and legal compromises by Democratic party members and operatives is a major project and problem. In the meantime, Republicans have come to life as they’ve gone on the offensive, something that has been absent for too long. Given what he accomplished in dispatching Hillary into retirement from politics, President Trump is deserving of vigorous support by the Republicans in and out of Congress. So it is encouraging to see the Republicans coming together to demand that Special Counsel Robert Mueller resign over his conflicts of interest regarding the growing scandal surrounding Barack Obama and Hillary Clinton and their involvement with Uranium One. This offensive by the Republicans is long overdue, as Uranium One is a real scandal deserving of aggressive investigation. “Three GOP congressmen introduced a resolution Friday calling for special counsel Robert Mueller to resign from the Russia collusion probe, citing his ties to the FBI and its role in controversies involving Russia. “Rep. Matt Gaetz, R-Fla., a member of the House Judiciary Committee, along with co-sponsors, Rep. Andy Biggs, R-Ariz., and Louie Gohmert, R-Texas, introduced the resolution on Friday. Mr. Obama may have defeated Hillary for the Democratic nomination for president in 2008, but it is questionable as to whether he will be able to dethrone her as the champion of political corruption. That contest notwithstanding, they seem to be neck and neck, and neck deep, in the Uranium One scandal. That Mr. Mueller has touched on this matter in his previous official dealings calls into question his impartiality as one leading the current investigation and in determining those for whom indictments are to be pursued. Here’s specifically what is causing problems for Mueller leading to the demands for his resignation. 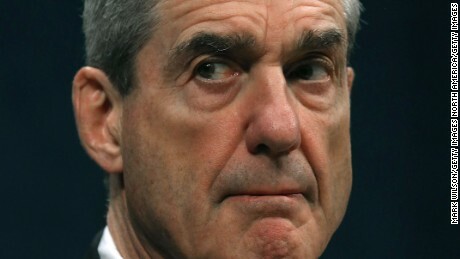 Seems as though the investigator and prosecutor, Mr. Mueller, is worthy of investigation himself. Once someone is as compromised as Mueller now appears to be, the actions he takes and decisions he makes will be tainted. As such, the administration of justice is corrupted. No one should expect an investigation such as the one Mueller is leading to be free of political overtones, nor of vicious controversy. However, the chief investigator and prosecutor himself cannot be compromised in the very investigations he is conducting. The integrity of any indictments that are pursued will be in doubt. Mr. Mueller should step aside.